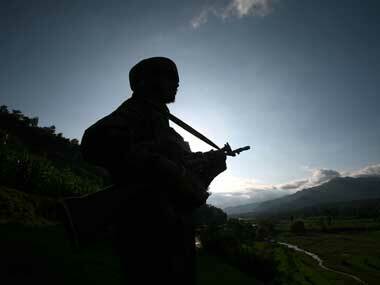 New Delhi: The separatists are fishing in troubled waters in Jammu & Kashmir. That times of humanitarian crises of this magnitude call for suspension of old animosities and a humane approach to the victims of the devastation around seem to have escaped them. Even as the state, central governments and the defence personnel work in tandem in relief and rescue operations in the flood ravaged state, they are busy fomenting trouble. On Thursday, the Army and the National Disaster Response Force (NDRF) personnel were shocked when their helicopters and boats were pelted with stones as they were trying to rescue people in Srinagar, which has turned into a cesspool with stagnant water of swollen river Jhelum and Dal Lake. A post from an army officer’s mother on the social networking site Facebook said, "My son, Sqn Ldr T (name withheld on request) presently rescuing people in Srinagar on a MI 17 chopper told me about a bizarre experience they had today. While helping to winch up two women in a locality in downtown Srinagar, one of the men who had gone down the rope to help the two women with their harness was attacked by a burly man. Abused and threatened with words that said, 'I will chop you into pieces if you lift any more people from here. Go away'." In fact, two NDRF personnel were injured, one of them seriously, and had to be airlifted to Chandigarh for medical treatment. Following this hostility, the forces had to reshape strategy – NDRF now launches rescue missions in the night and the choppers avoid potential trouble spots. Sources say while the common Kashmiris are genuinely agitated over the slow pace of relief and rescue and the near absence of the elected government, the separatists led by the 84-year Sayed Ali Shah Geelani are nervous over the extraordinary response to the humanitarian crisis from the security forces. 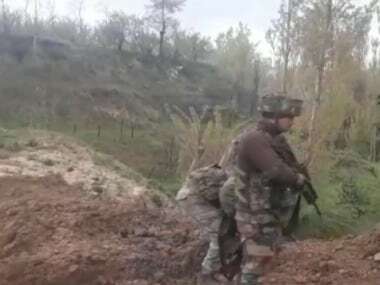 "Those pelting stones were trouble-makers who had come from outside as part of orchestrated plan of the elements (read pro-Pakistani) who we all know, want to throw stones and create a wedge between the Army and the distressed population,’’ said Chief Minister Omar Abdullah on television. 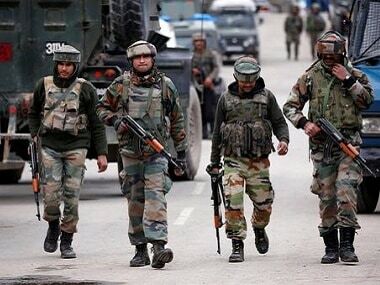 The social media sites, which have become major source of communication between Kashmir and the outside world, are replete with posts warning people about rumours being spread against the role of "security forces". According to some posts, choppers are selectively rescuing people based on their religious and social status. The separatists, sources said, were trying to stage anti-India protests to make most of the presence of a huge media contingent that has descended Kashmir for covering the calamity. On a couple of occasions one even saw agitated women being prompted to raise 'azadi' slogans in front of the TV cameras. Sources from Srinagar said on the third day of the deluge Geelani, who enjoys support among a section of the Kashmiri youth, had mobilized Jamat-e-Islami cadres into helping people in areas where the army did not venture. "They made makeshift boats to rescue people and also arranged food for the people," a senior police officer said on FB post. While these volunteers could have won laurels from all for their efforts, they ended up raising suspicion over their real motive. They wanted to convey the message that the Army was not the only saviour in Kashmir. 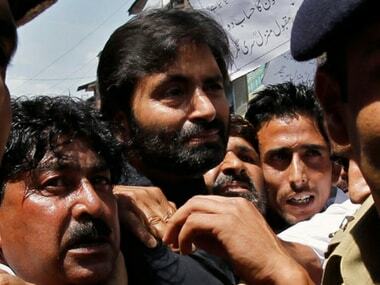 Interestingly, separatist leader Yasin Malik was today rescued by Army personnel from his downtown Miasuma residence. It may be recalled that Malik had been involved in gunning down of Indian 10 Air Force personnel when he was an active militant. Even as most of the separatist leaders are out of currency in the flood ravaged Kashmir, Geelani was seen spewing venom against the Indian Army on a Pakistani news channel. In a telephonic interview to its a popular current affairs show Geelani alleged that the Indian Army was "busy rescuing their own personnel, tourists and only a few Kashmiris, in that order". Geelani said: "Indian Army and media are insulting Kashmiris by taunting them about being saved by those whom they pelted stones at once..." "Indian Army men were moving around in boats with TV crews only to stage an act of rescuing a few locals for the purpose of publicity and propaganda," he also said. 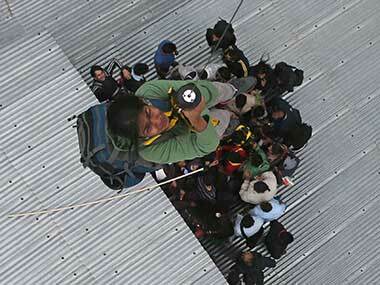 The fact is that Army and NDRF men have rescued more than one lakh people so far and they are still at it. The ordinary Kashmiris are not complaining. The Hurriyat leader made a fervent appeal to Pakistan to "take time off its internal strife and showcase the crisis facing Kashmir to the United Nations and the Islamic countries." He asked Pakistan to mobilize aid for Kashmir. Also on the same show was Hafiz Sayeed, chief the internationally outlawed Jamat-ul-Dawah, making equally bizarre accusations against India on the floods, which have ravaged Pakistan too. Hafiz, who is wanted by India for masterminding the 2008 Mumbai terror attacks, matched Geelani’s pitch, saying India was "controlling and manipulating water resources with the sole aim of triggering floods in Pakistan."